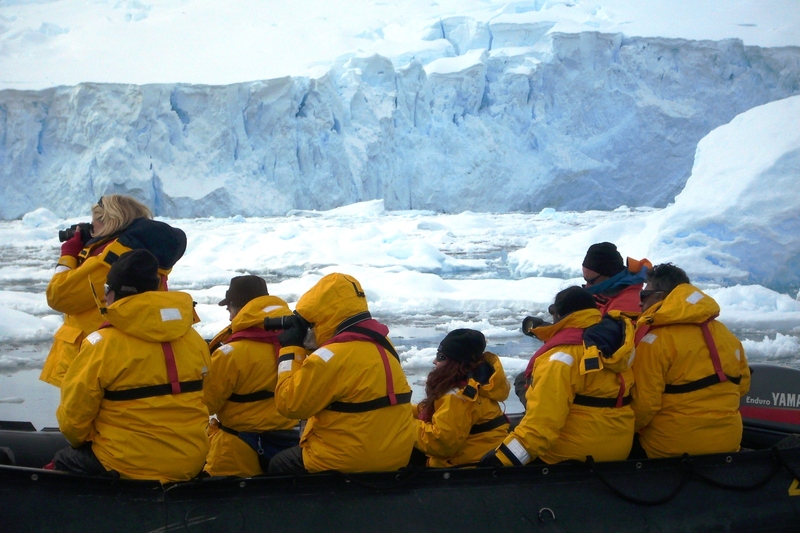 I received the assignment to produce a video in Antarctica for a polar expedition company (Quark Expeditions) with mixed emotions: thrilled about an adventure of a lifetime/ fear of freezing. The freezing part is justified: I have Raynaud’s disease, a medical condition defined as a hypersensitivity or allergy to cold that can cause hands and feet to discolor. Being cold-challenged, I wear a sweater when entering a supermarket because the refrigerated sections make me shiver. Same with air- conditioned buildings. Snorkeling in Hawaii was impossible without a wet suit. Winters in Washington, D.C. froze me out with multi-colored hands, and for 10 years I bundled up on the beach in Los Angeles. 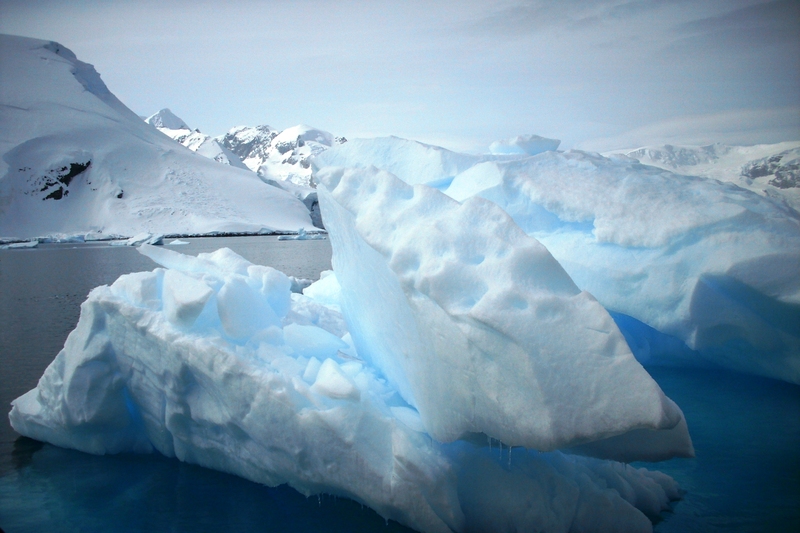 Antarctica? I have spoken the name of that continent maybe once in my life and turned blue. 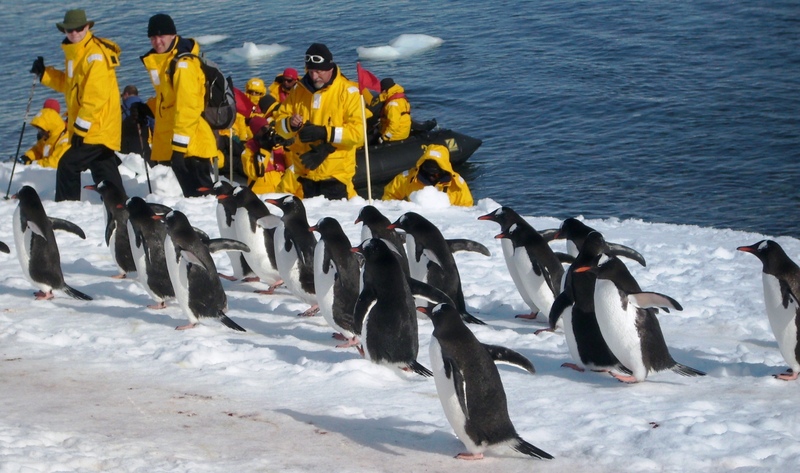 The subject of the mini-documentary was a tourist adventure expedition to Antarctica for 10 days that included land and water activities and encounters with penguins and seals. With a little luck, drugs and a gown of down, I had hoped to survive the expedition to tell the tale and declare a victory over supermarkets. I did extensive research about gear/clothing for extremely cold climate, but did not find a clear and detailed list. Finally, a week before the voyage and no clothes for it, I walked into an upscale ski store to be outfitted. I left with $800 (incl. 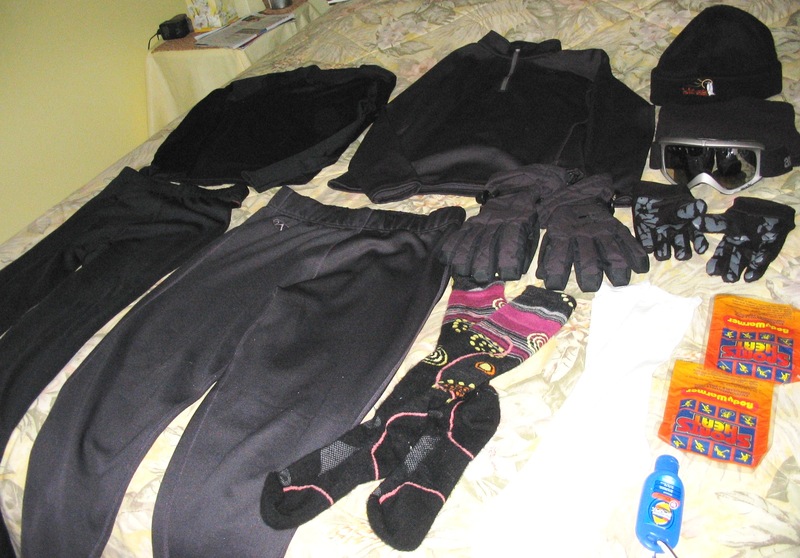 tax) worth of layers/gear, not including the boots and parka (provided by the expedition company). 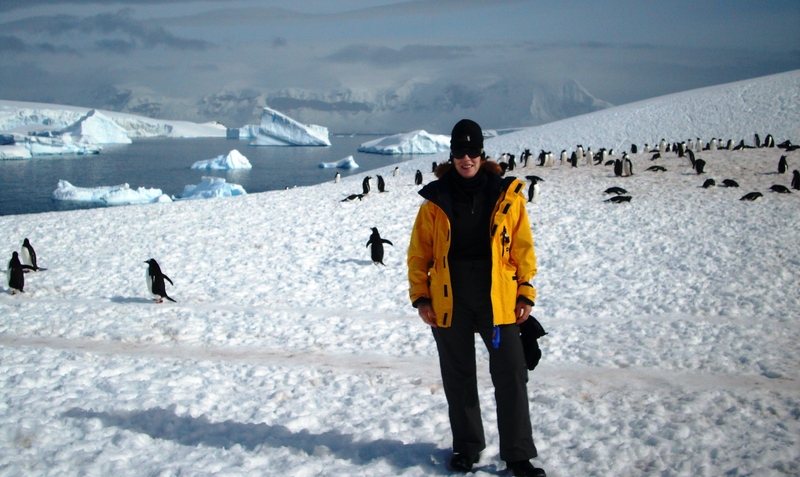 After 6 days in the Antarctic peninsula (South Shetland Islands), I can report that the gear worked to keep even me warm in some seriously cold weather. How cold was it? 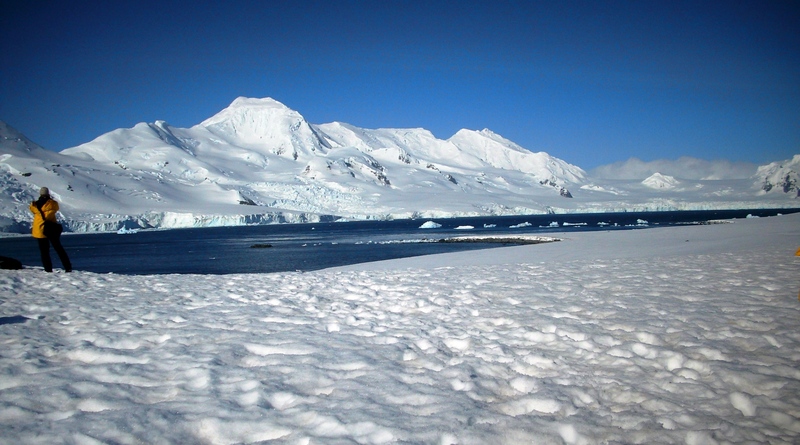 Antarctica is an ice continent; the coldest, windiest, driest (and highest) one on Earth. It is gorgeous and mysterious, accessible to tourists only in summer. Although it was mid-November (summer), temps were mostly in the teens (F). But with wind chill from blizzards, some days were well below that. It got up to the 40s one day, a few days hit the 20s or teens without wind for a few hours, but mostly it was windy and snowy much like I imagine Canada in winter. THE CLOTHES WORKED TO KEEP ME WARM! From someone with Raynaud’s disease in Antarctica, this is the list of clothing to know about because it all worked in sub-zero temps. Keeping warm starts with 3 layers and the unique fabric technology of each layer. The MTF base layer is a patented knitting fabric that fits like second skin. It’s a tightly knit polyester micro fiber blended with Lycra. The MTF yarns create a weather barrier to keep you warmer and dryer because moisture from perspiration gets dispersed and evaporated quickly. Looks like tights; is machine wash/dry. 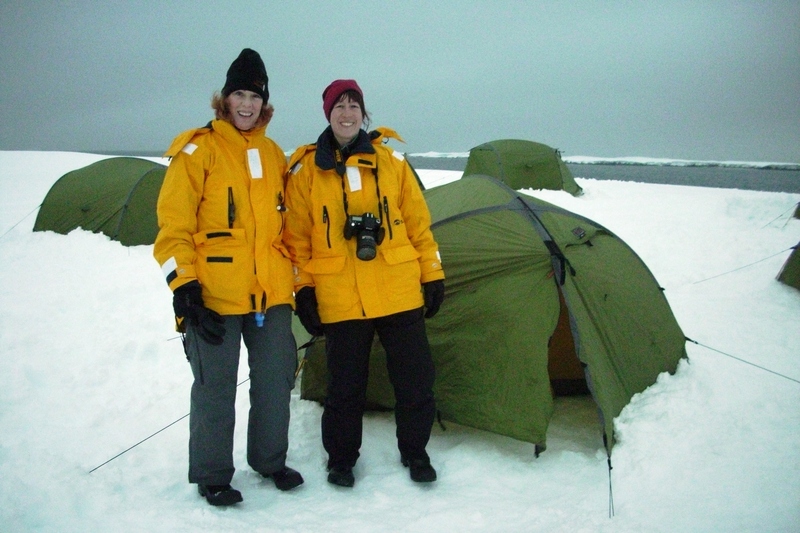 This is such a crucial garment that Quark Expeditions refers to it as a “piece of equipment for the polar regions, not a fashion statement.” Quark manufactures and provides the parka to each passenger complementary. It can also be purchased from their Website. b) Socks: SmartWool fabric (a wool-on-wool Duroyarn fabric technology). a) Glove liner: Dryride Thermex fabric, 4-way stretch with sticky grip palm. 6. Neck: 100% acrylic neck warmer worked perfectly to keep out wind. Machine wash/dry (retail: $12). 7. Head: 100% acrylic snug -fitting hat to forehead that covered ears worked well. Machine wash/dry (Retail in Ushuaia: $7). In blizzard conditions, I wore goggles with interchangeable silver/amber lenses for brightness and they kept snow and wind out of my eyes. (retail: $65). Otherwise, I wore a pair of plastic, full UV-protection sunglasses, or nothing some days.